Jail Sipahi Exam Call Letter Download Notification 2015: Jail Police Recruitment Board (PRB) published notification for Download Jain Sipahi Written Exam Call Letter 2015. 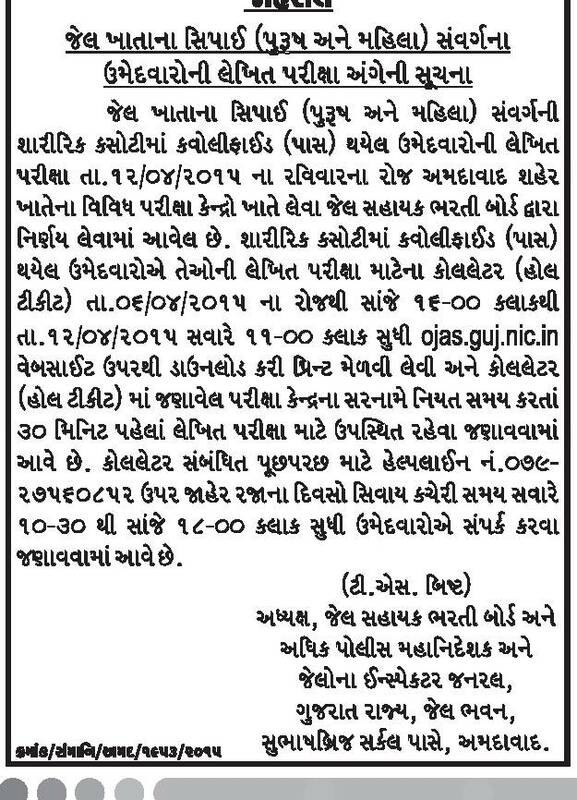 The Examination Will be held on 12-04-2015 at Ahmedabad. Jai Sipahi Call Letter Download Link will be Started for 06-04-2015 at 4.00 p.m. Candidates can download their Admit Card through official website ojas.guj.nic.in.